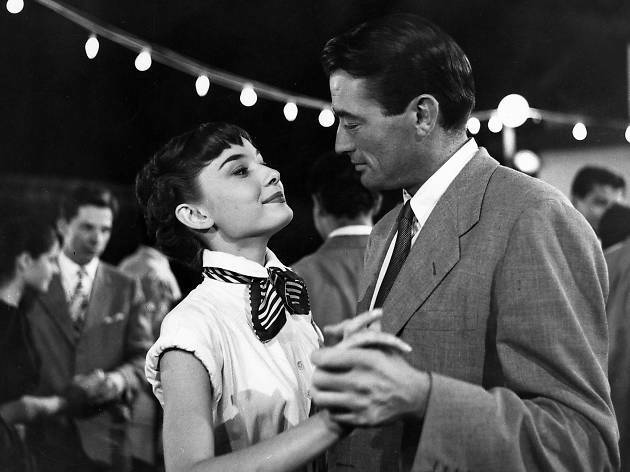 This near-perfect romcom gave an unknown actress called Audrey Hepburn her ‘hello world’ moment in 1953 – making her an overnight star at 24. Hepburn sparkles as Princess Ann, an elfin European aristo bored to tears of ambassador’s receptions and majors with walrus moustaches. One night, during a state visit to Rome, she slips out of the palace to slum it with commoners – and falls into the clutches of an American reporter, Joe Bradley (Gregory Peck). ‘Is this the elevator?’she asks sweetly, stepping into his tiny flat. Joe can’t believe his luck: here’s the scoop of the century. Of course, the runaway princess and the hack fall in love. But this is a fairytale with a bittersweet ending. In a packed press conference filled with reporters, the lovers end the affair with a few tender, coded words (you can bet Richard Curtis watched this before he wrote ‘Notting Hill’). Forget ‘Breakfast at Tiffany’s’, this is the real deal. 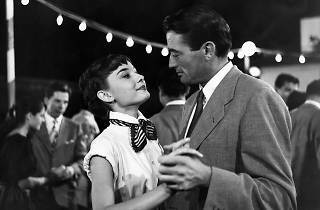 Enchanting, funny, romantic and brilliant, this film directed by the great William Wyler gets better with every viewing. The story owes its plot to 'It Happened One Night,' in which a runaway heiress is followed by a journalist who hopes to earn big bucks by writing an exclusive on her story. Here, the runaway is Ann, a princess, played by the always mesmerising Audrey Hepburn, who just wants to be ordinary and sneaks out of a palace to experience the real Rome (and what a great Rome it is, complete with Vespas and contemporary clothing, not to mention historic sights). Her journalist, Joe, is the charming Gregory Peck, with a sarcastic and funny photographer sidekick Irving, played by Eddie Albert, both of whom envisage the big bucks they will earn with their exclusive story and photos of the princess engaging in outdoor fights and wandering around Rome, complete with her first fashionable haircut. Of course the princess and the journalist fall in love, but the ending isn't quite the same as in "It Happened One Night". The classic scene in which Ann fearfully sticks her hand into the Bocca della Verita still works. Hepburn earned a well-deserved Best Actress Academy Award for her guileless and completely natural performance, and the real love story isn't between Ann and Joe but between Hepburn and the audience. This film is widely available on streaming sites, so curl up and watch at home and imagine yourself young, in love and in Rome.